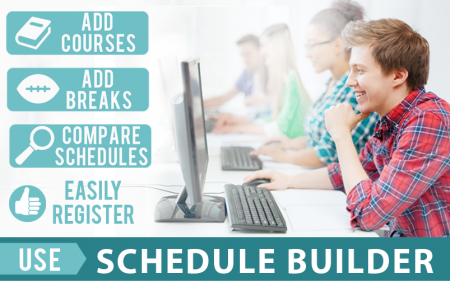 The new Schedule Builder will allow you to add courses, generate all possible schedule combinations and select the set of classes that fits you best. Add your preferred schedule to your shopping cart ready for your registration window. Add additional schedule options to your favorites to access as needed during the open registration period. Access the Schedule Planner from mySFCC student portal. Download the step by step instructions or follow the tutorial video below!